The resistance of rice weeds to herbicides is now a focus by the industry insiders. Most of echinochloa crusgalli (L.) beauv. in rice fields is strongly resistant to penoxsulam and quinclorac. In fact, new types of herbicides are demanded urgently. Rice is one of the most important crops in China, considering the fact that this dish lands on the table of most Chinese families at least once a day. As a result, the area of rice planting in the country is huge and various measurements are taken to ensure a steady output. However, farmers are experiencing an increasing resistance of rice weeds in recent times, forcing them, to use more herbicides on the field and increasing the resistance even more. Hence, new rice weed herbicides are urgently needed in China to counter the threat of growing resistant weed. Enterprises can see this trend as a chance to introduce new rice herbicides into China and profit from the inconvenient situation on China’s rice farmers. According to market intelligence firm CCM, the resistance of rice weeds for the current herbicides used on China’s fields have been focused by many industry insiders already. 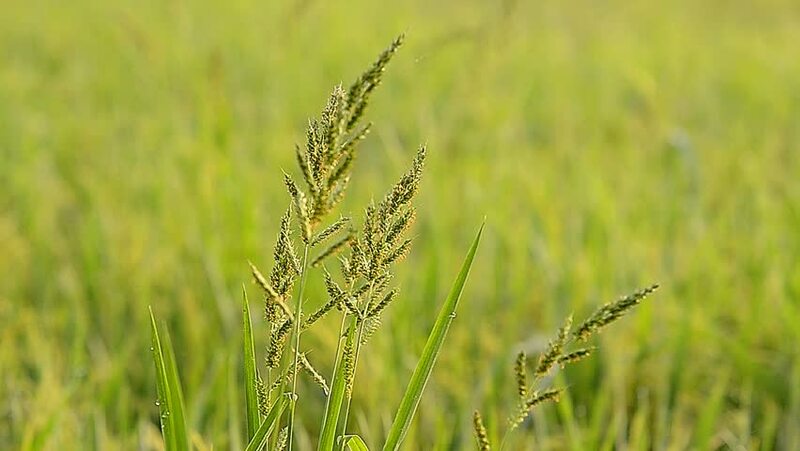 In recent years, large-scale planting, total wheat straw incorporation, and changes in characteristics of rice weeds have occurred, causing the problem of the threatening resistance. In China, rice weeds are increasingly resistant to herbicides, and the vicious cycle of reduced efficacy of some herbicides and increased use amounts of herbicides is on its way. This causes rises in the cost of prevention and control and increases in difficulty during prevention and control. Official statistics show that there were 43 varieties of weed in China in 2017. Of all those weeds, rice weeds are of a relatively high frequency of occurrence, according to CCM’s research. Especially a few rice weeds are causing significant damage to China’s crops. The worst ones are weedy rice, echinochloa crusgalli beauv., leptochloa chinensis nees, ammannia baccifera L. and eclipta prostrate. Finding effective herbicides against this pest is of high importance for the Chinese agriculture. Now it is a stage of rapid growth for the herbicide resistant weeds in China. Such reports have been made in certain areas in large quantities. In addition to the reduction of efficacy, the cost for prevention and control has also been increased. In particular, herbicides mainly including quinclorac, penoxsulam and cyhalofop-butyl have been exposed for times. It is only a matter of time until they lose competitiveness in killing rice weeds, as the resistance is increasingly strong. When the efficacy is weakened, farmers need to increase the use amount so as to kill the weeds, which causes growths in cost. Additionally, market shares may be occupied by new herbicides launched onto the market to the largest extent. However, such so-called new herbicides are lack of new mechanisms of action, as China is still poor in pesticide innovation. In 2017, the National Agri-Tech Extension Service Centre organised monitoring of rice weeds' resistance at 60 pesticide resistance monitoring sites in a total of 19 provinces, regions, and municipalities such as Jiangsu, Anhui, Jiangxi and Shandong. Results show that the rice weeds have significantly increased their resistance to the herbicides in common use. Particularly, the resistance to penoxsulam, quinclorac, cyhalofop-butyl, bensulfuron-methyl and pretilachlor has been developed. In the double-cropping rice planting area along Changjiang River, echinochloa crusgalli (L.) beauv. has shown strong resistance to the herbicides in common use such as penoxsulam, quinclorac and bispyribac-sodium. Their respective use amount has been increased by over 100% against that registered primarily; however, their efficacy is still very poor. Echinochloa crusgalli beauv. strikes nationwide. Detections find that it is resistant to quinclorac, penoxsulam, bispyribac-sodium and propanil, which seriously reduces the efficacy. Of this, the use amount of quinclorac has been doubled. This, in addition to greatly increased cost, carries safety risks to the succeeding crop which is sensitive. Hence, its use is decreasing sharply. Leptochloa chinensis nees resistance to cyhalofop-butyl has been increased year by year. In the areas where this weed always strikes, the use amount of cyhalofop-butyl has been nearly doubled already, which is a great impact on its application. The prevention and control of weedy rice are carried out mainly by soil cultivation after seedling, irrigation and rice transplanting. There are few herbicides targeting this weed. Sagittaria trifolia L. and monochoria vaginalis. have developed strong resistance to bensulfuron-methyl and pyrazosulfuron, which is now a big problem in rice production; monochoria vaginalis, striking Changjiang River basin in a relatively severe way, has also been strongly resistant to the said 2 herbicides, and the substitutes, bentazone and chipton, however, have safety risks. Alternanthera philoxeroides griseb. : is in the situation that only fluroxypyr is effective on it. However, there are certain safety risks and strict limitations on the period of application and the use amount. 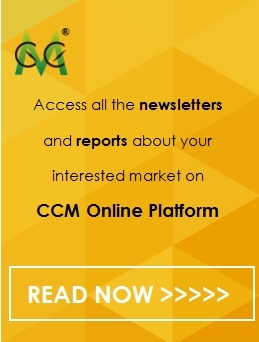 For regular and exclusive insights into China’s herbicides market, subscribe to CCM’s monthly published Herbicide China News.